You might not feel it day-to-day, but business management is in a major transition. The old days of command-and-control leadership are fading in favor of what might be better termed a trust-and-track method, in which people are not just told what to do, but why they are doing it. More formally, we’re moving from what was called “transactional” leadership to “transformative” leadership. And there’s no turning back. 1. 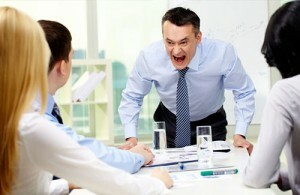 Out: Micro-management, or the need to control every aspect of your company. In: Empowerment, the ability to give your people some rope–even rope to make mistakes without blame. 2. Out: Management by walking around the office; it is no longer enough to be visible. In: Leadership by watching and listening, engaging in conversation, implementing the ideas presented to you, and distributing the results. 3. Out: Pretending you know everything. You don’t have all the answers, so why try to make people think you do? In: Knowing your leadership team members and trusting them. Choose great people who have the right skills and fit the culture. And get out of the way. 4. Out: No mistakes, or a “no tolerance policy” some still think works. In: Learning from mistakes, or being the first to admit an error. 5. Out: The balance sheet drives the business, and informs all other decisions. In: People drive the business, boosting customer loyalty, and profit. 6. Out: Job competency is sufficient. Do the job asked, and you’ll survive. In: Recruit “A” players who will go the extra mile. They’re out there. 7. Out: Invest in technology to increase productivity. In: Invest in people. 8. Out: Demand change; be very specific about what you want and when. In: Nurture change; your people can come up with the best ideas and you can give them credit for it. 9. Out: Fried food in the cafeteria. In: Wellness in the workplace. 10. Out: Incentives; pay employees more money and they’ll do more. In: Rewards; being valued matters more than money.So ask yourself which of these out-of-date practices you’re still using. There’s no time like now to try something new. This is Sultan Mahmud Sujon. I live in Dhaka City at Savar with my family. My Father Name is MD. Amir Khosru. He passed M.com degree from Dhaka University. He is an Asst. Controller under Ministry of Agriculture (BADC) also he is a freedom fighter in the Bangladesh Liberation War. I proud of my father & our mother land. My younger brother study in Geography & Environment at Jahangirnagar University (JU). I am very much interested IT & Business Info.